The parts washer that goes where you want it to! The Clean Box Flow is a cleaning system that can be used flexibly. 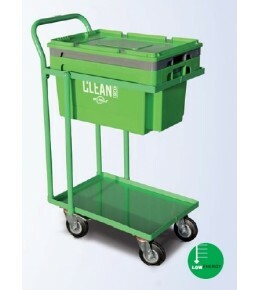 With its mobile trolley, the Clean Box Flow can be placed directly next to the parts to be cleaned. The battery-powered pump and the washing brush facilitate easy cleaning in virtually any place. 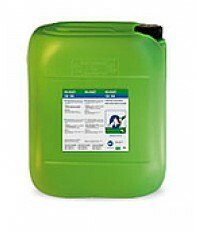 The cleaning liquid is filtered during use, ensuring a long service life. The sturdy Clean Box Flow has been developed for the practical use of bio-chem cleaners. The mobile trolley features storage space for jerrycans or work pieces. 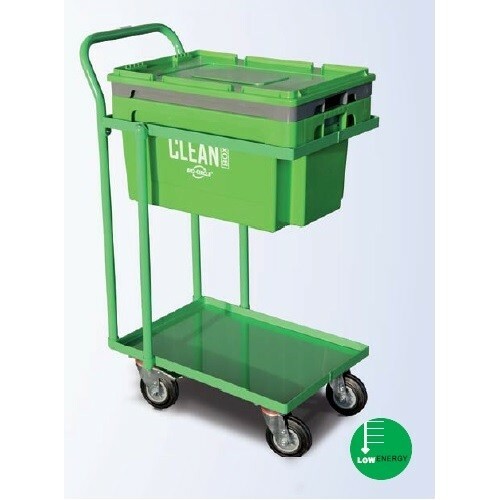 The Clean Box Flow is comprised of the immersion box with 12V pump, rechargeable battery and flow-through brush, the lid and trolley.